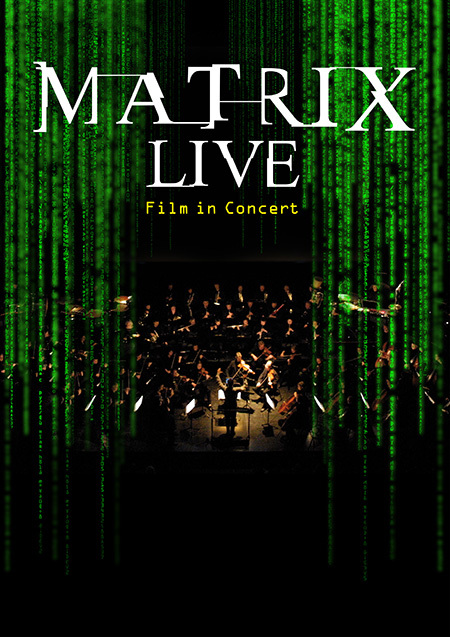 ‘MATRIX LIVE - Film In Concert’ brings the winner of four Oscars to the concert hall. The live film concert combines visionary science fiction imagery with the sound of a large symphonic orchestra. In his composition for THE MATRIX, Don Davis reconciles new music stylistics with the requirements of an action film, using complex and unrelenting sounds to portray the irreality of the Matrix. The music is performed by the NDR RADIOPHILHARMONIE and conducted by Frank Strobel. ‘MATRIX LIVE - Film in Concert’ is an outstanding musical and visual experience as well as a major challenge in terms of technical and musical realisation.